The official opening of the Sales & Service Centre Romaco India in Mumbai marks another milestone in Romaco’s drive to get even closer to the customer. For the first time, the firm will be represented at P-MEC 2018 with its own sales and service team, who will demonstrate new features and highlights of the Noack, Macofar, Kilian and Innojet product brands to interested trade visitors. The new Noack NBL 400 blister line was specifically designed to meet the needs of the Asian pharmaceutical markets. With an output of 400 blisters and up to 300 cartons per minute, this durable line is ideal for medium batch sizes. An integrated solution comprised of a blister machine with rotary sealing and a continuous motion cartoner, it is very easy to use. Machine operators require no specialist technical know-how to work on the blister packaging line and carry out product and format changes. Meanwhile, the Romaco Macofar MicroMaxX 18 microdosing machine processes pharmaceutical powders with different flow properties as well as freeze-dried products and sterile liquids. The system is equipped with a dual dosing disc which allows multiple dosing into the same vial; alternatively, the product can be filled in two separate process steps. Furthermore, even very small product quantities right down to 25mg can be dosed precisely. Thanks to an innovative in-line weighing system, 100% weight control is now possible for the first time. The machine achieves a maximum filling speed of 12,000 vials per hour. Up to 18,000 vials an hour are possible in the version with statistical weight control. The tablet presses in the Romaco Kilian K series are specially tailored to the needs of the Asian market and impress with their excellent value for money. 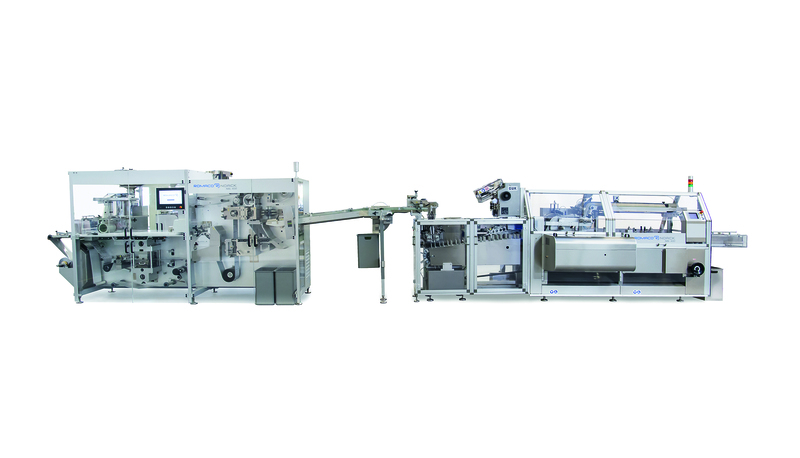 The K 720 double-sided rotary press was configured by Romaco Kilian for the production of mono and bi-layer tablets and can be switched flexibly between the two operating modes. This high speed press has a maximum output of 1,000,000 tablets per hour. The technology is used both in the pharmaceutical industry and in the non-pharmaceutical sector, and is particularly suited for compressing effervescent tablets, nutraceuticals and drugstore items. Another exhibit will be the KTP 590X, a model in the successful KTP-X series from Romaco Kilian. The KTP 590X is an extremely versatile single-sided rotary press which can be used to manufacture both mono-layer and bi-layer tablet formats. Bi-layer tablets can be compressed at any time on the version with three compression rollers. The tablet press is equipped for this purpose with two standard fill shoe modules, which distribute the powder uniformly in the die.